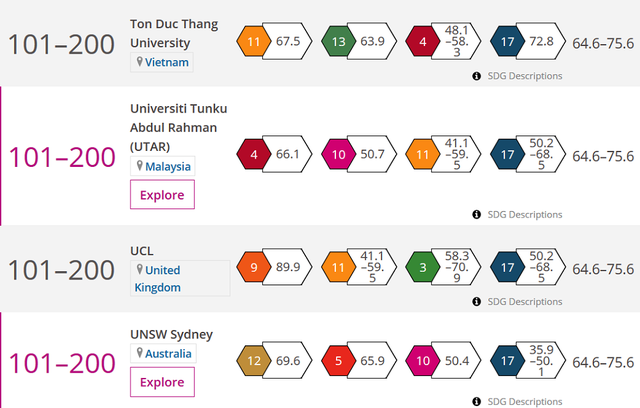 Hanoi (VNA) – Ton Duc Thang University in Ho Chi Minh City has become the only Vietnamese educational institution named in the Times Higher Education University Impact Rankings 2019. The university was in top 200 with a score range of 64.6-75.6. It scored high in international collaboration, promotion of best practices and data publication. Other notable achievements included providing quality education, climate chance combat action, and making the city it is in and the human settlements more safe and sustainable. Ton Duc Thang University is the first and only Vietnamese university to receive a four-star ranking by the UK-based QS Stars University Rating System. In February this year, it was placed among the top 25 universities and research institutes in the Association of Southeast Asian Nations (ASEAN) in terms of scientific research articles (ISI) published in the world's leading prestigious journals.